Evergreen conifer. Grows slowly, developing into a striking specimen. Up-curved deep green needles reveal a contrasting bright silvery-white underside. 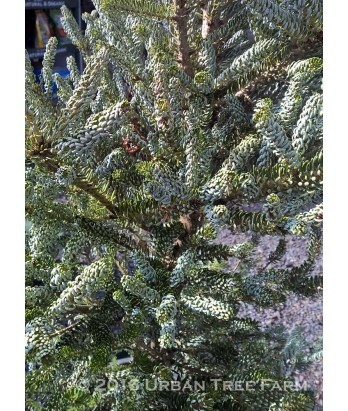 Produces an abundance of large showy cones held upright along the branches. Regular water needs once established.